Motorola's Wireless Data Division was a developer and manufacturer of in-vehicle and handheld wireless computers, base-stations, and related enterprise software applications. 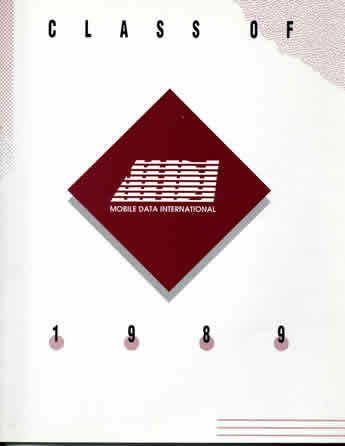 Motorola acquired Mobile Data International (MDI) in 1988. Working for Motorola, both locally, and at their HQ in Schamburg, IL and other wireless data design and production facilities in the US and south east Asia, was my first and only experience as an employee of a 100,000+ person multi-national corporation. My experience as a Project Manager for wireless handheld terminals introduced me to 6 Sigma quality programs and high volume off-shore manufacturing techniques and vendor relations. It was an honour to be part of a team that succeeded in creating some of the very first wireless data networks, as well as be associated with the legacy of MDI and its founding status as one of BC's great technology success stories. I started working for Motorola's wireless data division as an Engineering Project Manager, responsible for its handheld wireless data modems and terminals, in May 1989, just after Motorola had acquired MDI - Mobile Data International, perhaps the world's first wireless data systems vendor, founded in 1978 (end to end solutions: from terminals and base stations, to back end data processing), which itself was as a spin-off of MDA - MacDonald Dettwiler and Associates (founded by two UBC professors with crazy ideas about geo-information data mapping software and systems). In order to talk about Motorola's wireless data division, and its pioneering work on private and public wireless data networks, we must first talk about MDA and then MDI. MacDonald, Dettwiler and Associates Ltd. (MDA) was founded in 1969 by two British Columbia entrepreneurs who were also profs at the University of BC: John MacDonald (Engineering dept), and Vern Dettwiler (Computer Science dept) with the objective of delivering on a contract to work on a government weather satellite - thereby creating the foundations for a company that specialized in providing geo-information, aviation & defense software and systems with special emphasis on Landsat ground stations - hence MDA's long list of military and government customers in their early years. Today MDA has more than 3000 employees worldwide and is a diversified company. There are only a handful of pioneering technology companies in BC that were around in the 1970s: BC Tel's research offshoot, MPR Teltech (where some great technologies like CDPD - cellular digital packet radio - were in part spawned from) , Glenayre Electronics (which at one point in the early 1990s held a commanding 80% share of the worldwide pager business), and companies like MDA and its offshoot MDI. It is a small list, and most any senior tech industry executive in BC today who worked in BC in 1970s or 1980s spent time working for one or more of these companies. There is a long list of successful tech entrepreneurs who started their careers working at MDA, and in the case of Intrinsyc Software, at one point we counted perhaps a dozen employees who had been prior MDA employees and/or managers. Ken Spencer (former co-founder and CEO of Creo, BC's first basement to $1B tech company success - in terms of revenues) came from MDA, as did his partner, Dan Gelbart, who before co-founding Creo in 1983, was the scientist and founding father of MDI, after he invented a wireless data modem while working at MDA that had no direct application in MDA's core services oriented business pursuits. As a related point, Dan came to Canada as a young scientist from Israel in the early 1970s in search of peace and prosperity (and to escape from war in the middle east). After arriving in Vancouver he searched the Yellow Pages phone book and only found 3 technology companies to apply to work for - and MDA was one of them. Mobile Data International (MDI) was founded near the end of the 1970s with Dan Gelbart's early prototypes of his wireless data modem. Barclay Isherwood, also a transplant from MDA, was MDI's President. Dan Gelbart's wireless modem was based on a communications technique that was eventually branded as the MMP4800 protocol. This wireless data protocol could reliably transmit and receive 4800 bits per second of digital data over either a 25Khz UHF/VHF voice radio channel or a 12.5Khz side band channel. By accomplishing this, Dan had helped pioneer and commercialize the idea of marrying voice and data use on the same radio frequencies assigned for commercial vehicle two-way voice only radios, and he was lining up a business model to offer police, fire and safety services (and soon thereafter taxi companies) digital transmission of critical information via in-vehicle mounted computers. I initially applied to MDI in 1983 when I first graduated from Queens University in Electrical Engineering and interviewed with Peter Driessen, manager of R&D at the time, for a junior design position, but was not accepted (despite the fact that I knew him as a prior fellow brass player in the Vancouver Junior Orchestra). MDI had just won its first contract with the Vancouver Police Department, and had been featured in National Geographic Magazine. I thought digital wireless dispatch and tracking was a very compelling idea and was quite disappointed when the employment opportunity fell through. After several years working at other local tech firms I eventually secured my position as Project Manager of handheld wireless modems and terminals in 1989. Ventures West, the first VC in Western Canada (founded by Haig Farris, Michael Brown and Jack Jefferson in 1968), was a key investment backer, with $1.7M of its total $3.8M fund invested in the company. MDI's other (angel) investor was Bill Thompson. Although people today remember MDI as the first successful BC technology company M&A deal when it was bought by Motorola in June of 1988 for $105M (a lot of money at the time), it actually came very close to imploding a number of years earlier - MDI had been working to secure its first major contract with Fedex to automate their package tracking system, and the company was running out of money. After seeing MDI run low on operating capital, Ventures West was looking at pulling the plug on the company rather than plowing in more investment capital. The MDI management team had talked at length about the huge potential that a contract with Fedex would bring but their cash burn runway was coming to an end. Ventures West called the MDI management team to their offices to tell them that they had to wind the company down, just before they received a Telex from Fedex informing MDI that they had won the contract that eventually attracted Motorola's interest and helped drive the $105M M&A transaction later on. Ventures West as an organization would have been seriously wounded if they had been forced to pull the plug on MDI as almost 1/2 of their whole fund at that time was sunk into MDI - eventually receiving approximately 20x return-on-investment. It is easy to see how pivotal that event was for the whole telecom industry in BC. If the Fedex account had not materialized there would have been no MDI success and possibly no Ventures West success, which in turn would have drastically changed the course of BC tech history - there would have been no Sierra Wireless, no MDSI, No Mobidia - or dozens of other telecom firms in BC's future. Luckily, Fedex came through for MDI and wireless data in BC blossomed as a result. Motorola has a celebrated radio innovation history being the inventor of walkie-talkies for the US military in the Second World War, as well as being a leader in TV production in the 1950-1970s (Zenith brand), and later cellular phones in the 1980s until the present day. Motorola was no stranger to the potential for wireless data and fought from the beginning with MDI for dominance of this emerging market. I remember a story told to me at MDI/Motorola in 1989 shortly after I joined, by Bob Hamilton, who was a mechanical/industrial designer (who had worked for Ford in the 1960s designing cars in Detroit). He said that MDI took its handheld product mockups to Fedex in the mid-west (Fedex is based in Memphis, TN) in the middle of the winter months and the delivery couriers told him that they needed to use the handheld terminals with their gloves on because it was so cold outside. MDI pulled together a wooden mockup design with a few large 'soft' keys arranged around the edge of the display, while Motorola supposedly offered up a fully functional and advanced product with lots and lots of small dedicated keys, each with their own function. While Motorola obviously had a tested and completed product to offer Fedex, MDI won the contract with only a prototype and a vision for its future carved out of a block of wood (chalk up one for listening to customers). Motorola used to pull out all of the stops against MDI when competing against them for public safety and taxi contracts in the US by working the politics behind the scenes at the FCC, arguing about technology standards and radio frequency licensing legalities. In the end, MDI's innovation and speed of execution won the day and Motorola was forced to acquire their bitter competitor. 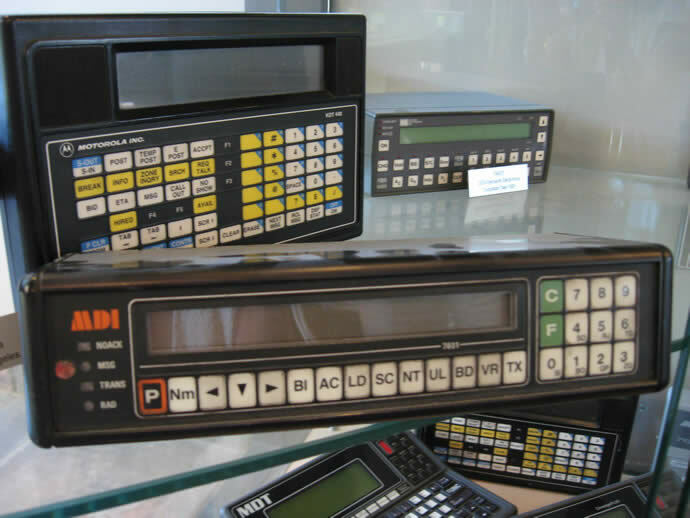 Motorola had its own 4800 baud wireless protocol called MDC4800. In the end, after acquiring MDI, Motorola made a political decision to only support its protocol and attempted to convert all of MDI's customers away from the MMP4800 protocol. 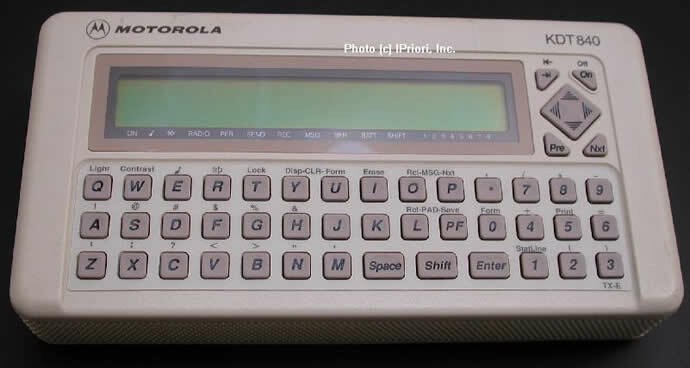 Erik Dysthe, a sales manager with MDI, saw an opportunity and offered to 'take the reluctant MMP4800 customers off Motorola's hands' for a small payment and MDSI (Mobile Data Solutions Inc) was born, which eventually became a $100M/year business. Motorola had previously sold IBM a complete US nation-wide wireless data network for the use of its customer service teams - allowing the technicians to diagnose and repair IBM mainframe computers using Motorola's KDT480 wireless computer (again, using the MDC4800 protocol). Motorola and IBM decided to join forces and form a new joint venture called Ardis in 1990, which was to use an upgraded version of this network (called Data TAC) to offer up a public wireless network - at the same time that Ericcson was introducing a competing public service called Mobitex (marketed in the US by RAM Mobile Data). 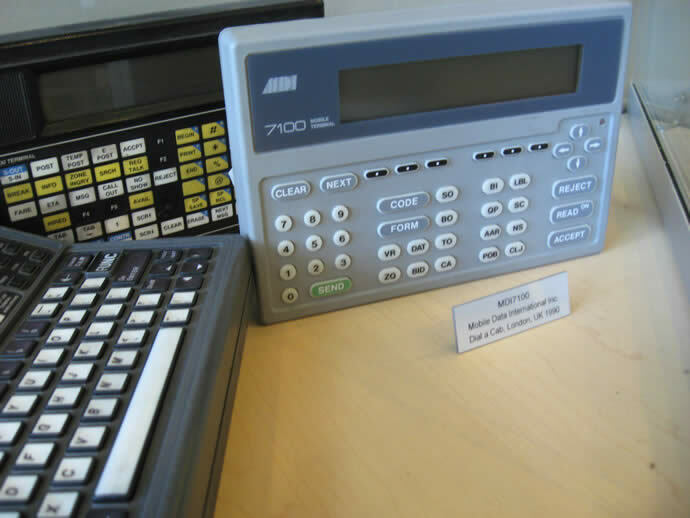 The MDC4800 protocol was to be upgraded to 19200 baud as well as part of the transition to the newer RD Lap protocol (see the Data TAC manual below for more info). 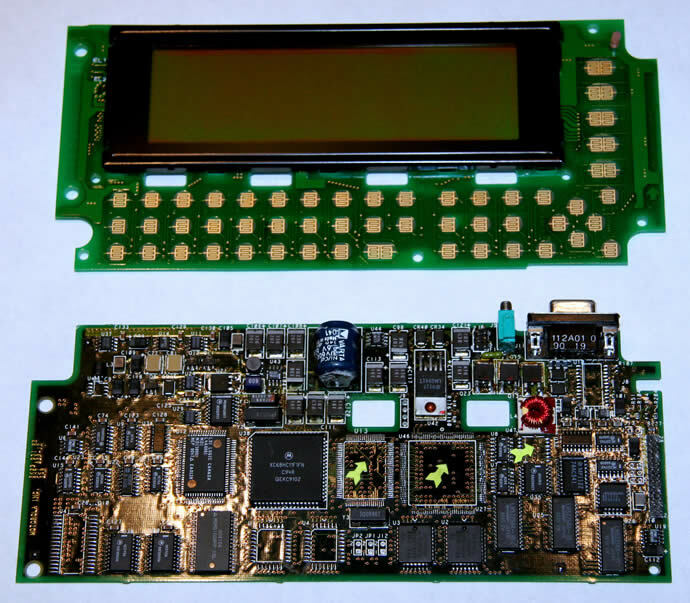 These were some of the engineering challenges that our development teams within Motorola's wireless data division were involved with at the time. While my engineering team was working on the release of the MDI880 (a modem) and PDT880 (a full handheld computer) using MMP4800 and its dedicated ASIC for implementing this protocol - the MDI1000 chip, we were also moving towards a soft DSP version supporting the new, faster RD Lap protocol that was to use TI's new 56000 CPU to run the wireless protocol entirely in software - so that the products could in fact run any radio protocol that the networks worldwide would require without changes in hardware. It turned out that this approach was very difficult to implement due to power constraints, but the idea was sound as this technique has been used ever since to implement data-capable radio modems in cellular phones. In the end, the PDT880 prevailed as the first wireless data handheld device to operate on the Ardis Data TAC network - itself one of the world's first public wireless data networks. So we were truly making wireless data history at MDI/Motorola - and I am proud to have been one of the product designers and the project manager for this ground breaking product . . . I left MDI/Motorola in 1991 to take on the position of VP/Business Unit Manager with Nexus Engineering (see Nexus Engineering - History and Overview) just after personally leading the South East Asian manufacturing and delivery of the first 100 pre-production PDT880s to a European operator, as well as helping jump-start the roll out of other ground-breaking public wireless data networks in the US, Asia and Europe. Six months before I left Motorola I had accepted a position reporting to Motorola HQ in Schaumberg, IL, working with the paging and wireless divisions throughout North America as an interface between the customer service groups and all of the product development groups. 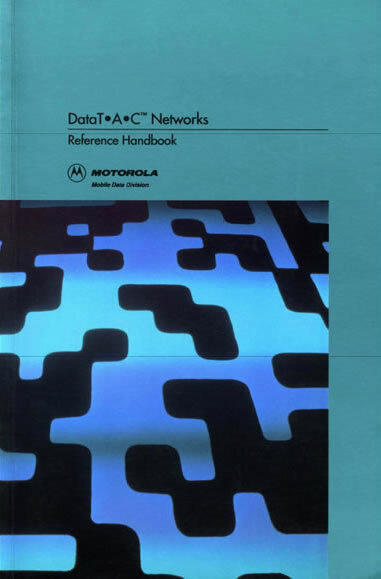 Here's a copy of Simon Backer's handiwork: Motorola's Data TAC Network Reference Handbook - 1992 - complete with a full description of the RD Lap wireless data protocol and the associated infrastructure and subscriber equipment (including my PDT880 above). With the acquisition of MDI by Motorola and the inevitable clash of cultures and downsizing of MDI that ensued, talent started to leave the organization. In addition to Erik Dysthe and his followers who left to form MDSI (www.mdsi-advantex.com), Norman Toms and Andrew Harries left to form Sierra Wireless (www.sierrawireless.com) (later joined by another ex-VP of MDI, David Sutcliffe, as its CEO, and a host of other engineers from MDI), Anwar Sukkarié and Cameron Frazer left to form WebTech Wireless (www.webtechwireless.com), and Vari Ghai left to form Digital Dispatch (www.digital-dispatch.com) - all local BC high tech success stories. And with my co-founding of PCS Wireless (see PCS Wireless - Overview and History), Intrinsyc Software (see Intrinsyc Software - Overview and History), and Mobidia (see Mobidia - Overview and History), as well other people's successes founding many other BC based wireless data related companies not mentioned here, the impact of MDA/MDI over the last 3 decades on the BC (as well as worldwide) high tech scene has been considerable indeed.